• Ultra plush microfiber wash mitt & Water Magnet™ . 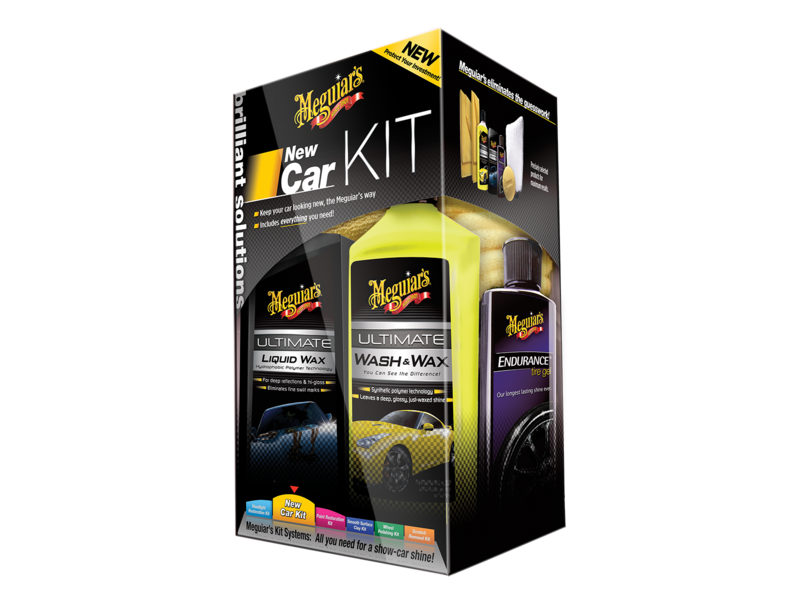 • Meguiar's® Ultimate Liquid Wax with a soft foam applicator. • Supreme Shine™ Microfiber Towel. • Endurance® Tire Gel & applicator.